In an arid expanse of Southern California lies a state park that is truly stunning in both sparseness and variety. Encompassing over 600,000 acres, Anza-Borrego Desert State Park offers expansive views of flat, cracked earth, along with cactus-dotted plains and slopes, palm oases, badlands, and slot canyons. It is a land of contrast, extremes, and some very cool camping. Anza-Borrego Desert State Park is California’s largest state park. It’s also the second-largest state park in the lower 48 states. But its size is a small piece of what makes this place so special. There are 110 miles of hiking trails and 500 miles of dirt roads to explore here. Almost two-thirds of Anza-Borrego is wilderness. No fewer than 12 designated wilderness areas shelter an extraordinary variety of fauna and flora. In fact, it’s so biodiverse that it’s part of the Mojave and Colorado Deserts UNESCO Biosphere Reserve. The reserve also includes other California desert regions, such as Death Valley and Joshua Tree National Park. 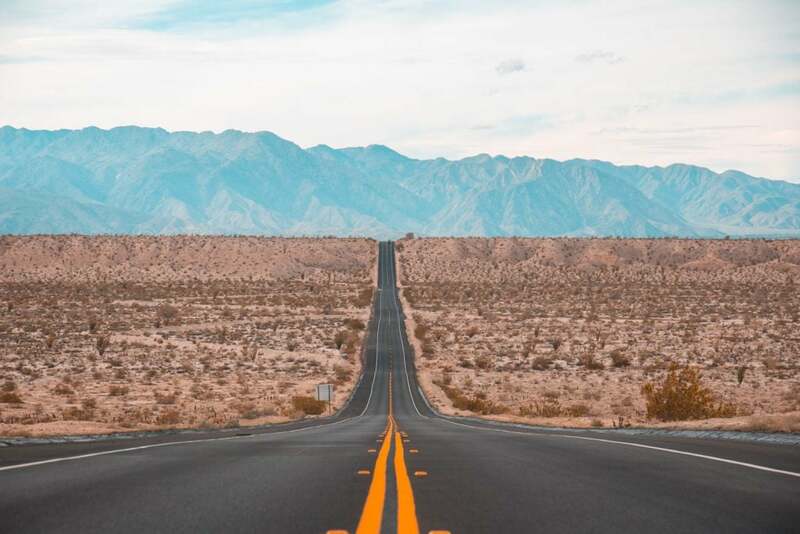 Whether you’re visiting for a 4-wheel-drive camping trip in the remote backcountry, a weekend of wildlife watching, a day of desert hiking, or a tour of the remarkable statues in Borrego Springs, you’ll surely find detours and desert surprises along the way. Image from The Dyrt camper Jennifer D.
The Anza-Borrego Desert wasn’t always a desert. Millions of years ago, the region was lush and tropical. Seas covered parts of the landscape, while other areas were tropical savannah. 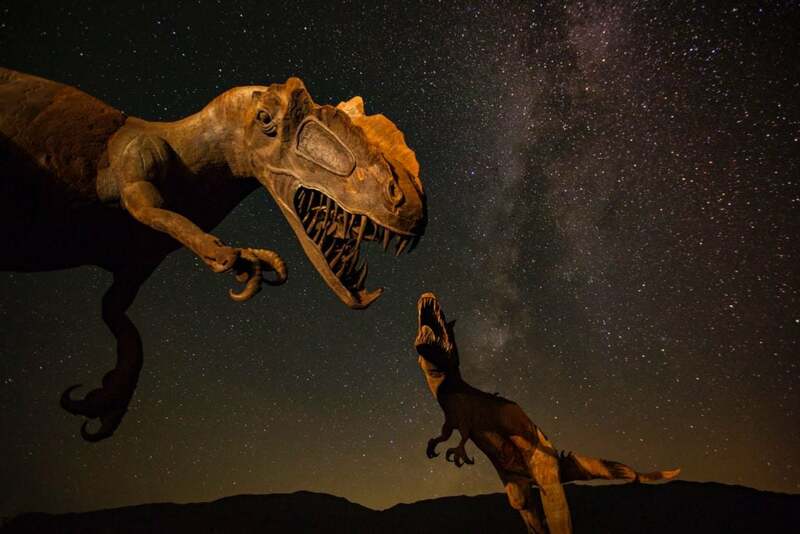 Nowadays, significant archaeological and paleontological sites dot the Anza-Borrego Desert, especially in the eroded badlands, which are among the richest repositories of Pliocene and Pleistocene megafauna in the U.S. Tons of fossils have been found here, including those of land mammals such as mammoths, giant camels, saber-toothed cats and numerous other extinct animals. Other deposits have yielded the remains of marine life like walruses, whales, sharks, and rays. Preserved plants and invertebrate shells, as well as ancient animal tracks are found in this desert, too. Native Americans have inhabited the region for millennia, leaving behind cairns, artifacts, petroglyphs, and pictographs at literally thousands of different sites across the park. Some of those you can see on short hikes. Modern (Euro-American) history starts when Spanish explorer Juan Bautista de Anza crossed the desert in 1774. His name makes up the first part of the park’s name. Borrego comes from the Spanish word for the bighorn sheep that live in the desert. Located just a couple of miles west of Borrego Springs, the park’s main town, Borrego Palm Canyon is the most popular tourist area. 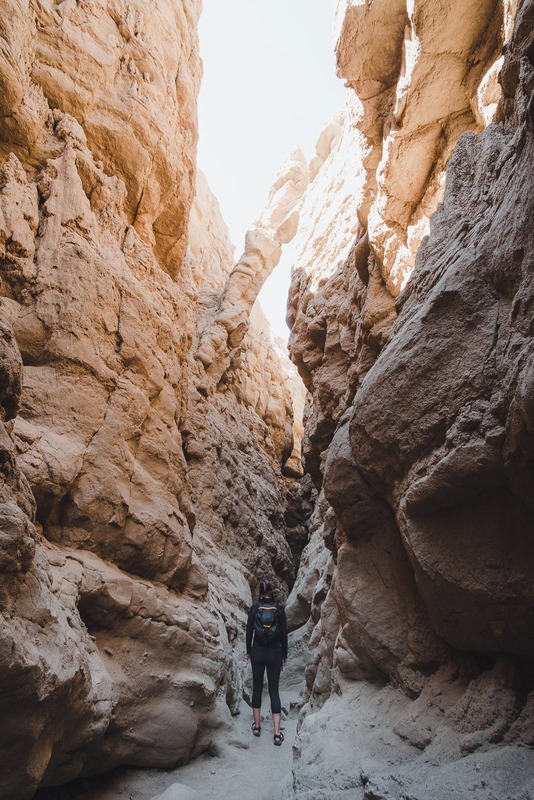 One of the greatest trails in the Anza-Borrego Desert runs through this canyon, while it also has arguably the best campground. The Anza-Borrego Desert State Park Visitor Center lies an easy walk away. In spring, wildflowers cover the whole area. Borrego Palm Canyon summarizes what this park is all about. Even more so, the 1930s protection of this palm-filled canyon is where it all started for Anza-Borrego Desert State Park. The park’s low-lying plains, high mountain ranges, sun-scorched badlands, and shadowy canyons offer a habitat to a wide variety of flora. From ocotillos, paloverde cacti, and California fan palms (the only native palm species in the state) to pine forests and oak woodlands, the Anza-Borrego Desert’s biodiversity is one of its main attractions. 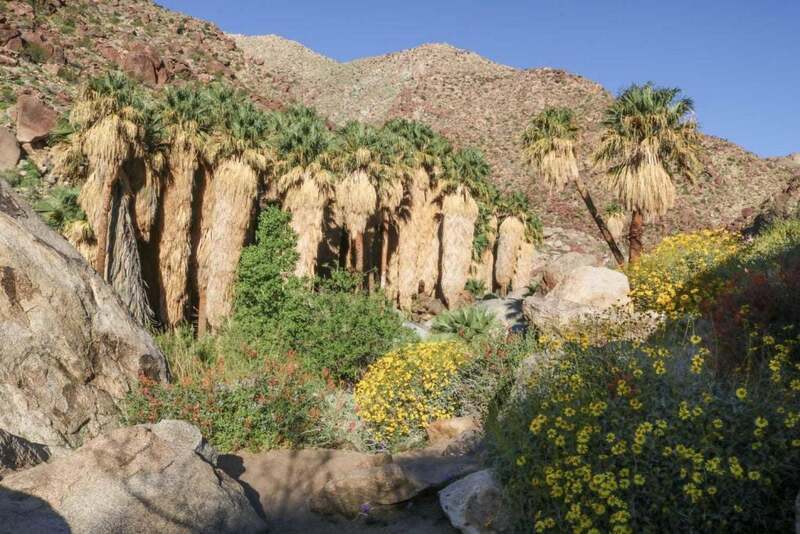 The best places to see the Anza-Borrego spring wildflowers are the valleys and lower slopes around Borrego Palm Canyon and along Henderson Canyon Road just outside Borrego Springs. Desert tortoises. A saber-toothed cat. Dinosaurs. An enormous snake. A gold prospector. Camels and bighorn sheep. These are all things that once roamed the Anza-Borrego landscape—some still do—and they’ve been immortalized by artist Ricardo Breceda in a series of huge metal sculptures. Besides desert scenery and wildflowers, the Anza-Borrego Desert is also famous for these remarkable works of art. Around Borrego Springs, no fewer than 130 of scrap-metal sculptures dot the arid plains. They’re particularly photogenic around sunset. Running from the Visitor Center east through the Borrego Badlands, the 21-mile Erosion Road Driving Tour is a self-guided scenic drive through the heart of the park. It follows a section of route S-22. There are 12 stops on the way, from spectacular viewpoints to geological places of interest and historic sites. Note that while the main road is paved and suitable for all vehicles, all dirt roads in this area have soft sand and boulders. If you’re planning on going off S-22, a high-clearance 4WD vehicle is recommended. The vast undeveloped terrain of the Anza-Borrego Desert makes it a superb place for stargazing. This fact has been recognized by the International Dark Sky Association, which designated Anza-Borrego an official Dark Sky Park. To further limit light pollution and protect the night skies, Borrego Springs became an International Dark Sky Community in 2009, the second one of its kind in the world. Stargazing events are organized in the park multiple times a year—check the website for the next date. For spectacular views of the Borrego Badlands, few places are better than Font’s Point. It’s particularly stunning at sunrise and sunset when low-angled sun rays cast shadows across the landscape. The only way to get there is via a four-mile unpaved road. Because of occasional deep sand, it’s accessible only to 4WD vehicles. Camping in the Anza-Borrego Desert comes highly recommended. This is a huge, attraction-filled park and you’ll need more than just one day to do it justice. 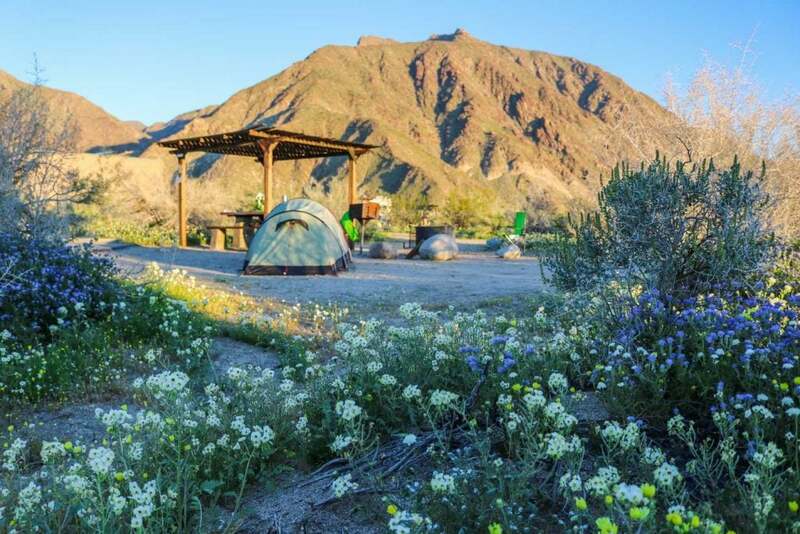 All primitive campgrounds in Anza-Borrego Desert State Park are free, while a couple of developed ones require a fee and reservations. Additionally, this is also one of the last parks in the country where open camping is allowed. 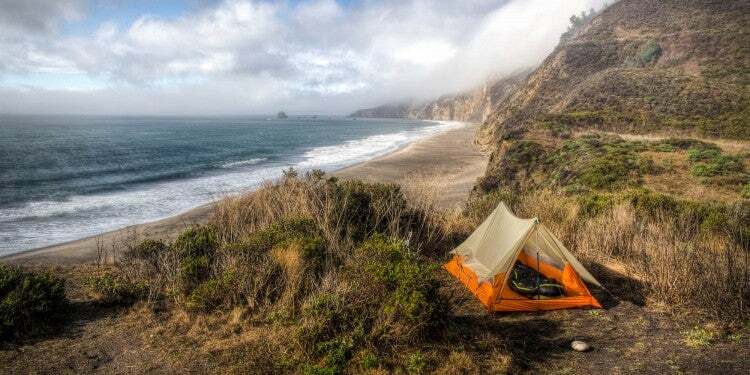 If you see a particularly beautiful spot and decide to pitch a tent right then and there, that’s 100% allowed. As long as you follow a few regulations that help to protect the area’s wildlife and delicate desert ecosystem. 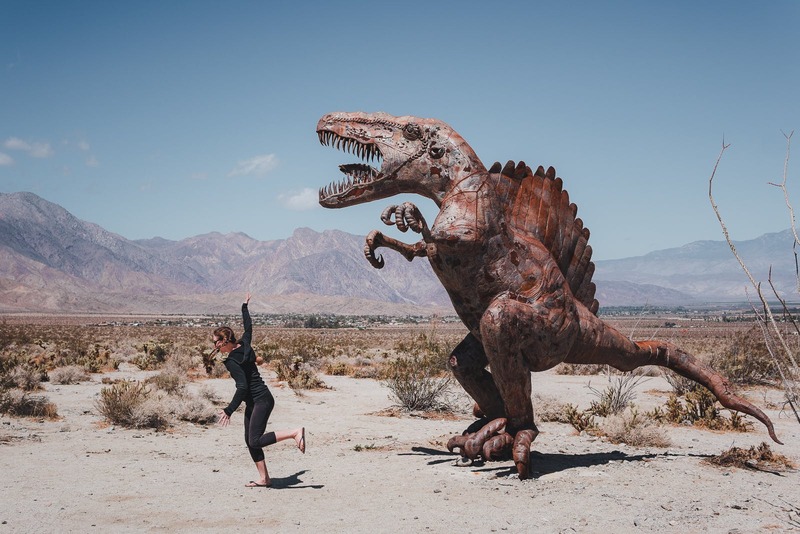 Image from The Dyrt camper Lauren S.
The largest and most popular campground in Anza-Borrego Desert State Park, the Palm Canyon Campground has about 120 campsites and 5 group sites that can accommodate 9 to 24 people. More than 50 sites have electrical hookups; the rest are non-hookup sites. The campground has potable water, restrooms and hot showers operated by token (you can get tokens at the entrance). The campground is open year-round. Reserving a site in advance is possible from October 1 through April 30. Note that reservations are site-specific. This campground lies about 2.5 miles west of Borrego Springs and is connected to the Visitor Center via hiking trail. Additionally, the Palm Canyon Trail, one of the park’s best hikes, starts at the far end of the campground. Another great campground in the Anza-Borrego Desert is the Tamarisk Grove Campground. It has 27 sites for RVs and/or tents, as well as cabins. There are restrooms and token-operated hot showers. Water is available, but it’s not potable. You can buy potable water separately at the campground. The Tamarisk Grove Campground is open from October 1 through May 31. Non-site-specific reservations are available from October 1 through April 30. “Tamarisk is a nice campground in a central location. It’s about halfway between downtown Borrego [Springs] and Julien, there are some nice hikes nearby like the Cactus Loop. Nice showers and bathrooms. I camp Anza Borrego often and really like this campground to get away from the crowds.” —The Dyrt camper Heather O. The southernmost campground in the park, the Bow Willow Campground is first-come, first-served. Its 16 primitive tent sites are ideal for a secluded desert experience. Chemical toilets are available, while all sites have fire rings and picnic tables. A couple of hiking trails start at the campground, leading to nearby areas such as Mountain Palm Springs and the beautiful Carrizo Badlands. Image from The Dyrt camper Morgan D.
Located near the Bow Willow Campground, the Mountain Palm Springs Campground is another primitive option in Anza-Borrego Desert State Park. This is a particularly rugged campground, accessible only via a graded dirt road and surrounded by cholla cacti. There are no amenities except for a vault toilet. Hikers will enjoy the easy access to trails leading to Pygmy Grove, Mary’s Grove, the Palm Bowl and Southwest Grove. “This has been a family favorite camp spot for years! There are no amenities of a normal campground, only a vault toilet is provided. Bring your own water, picnic table, fire pit etc. 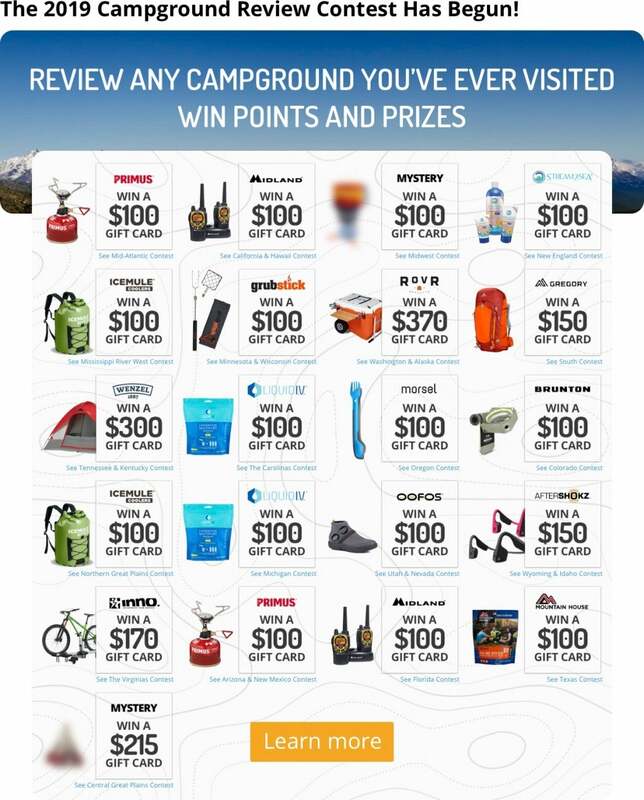 There are no set campsites, just pick what area looks good to you. 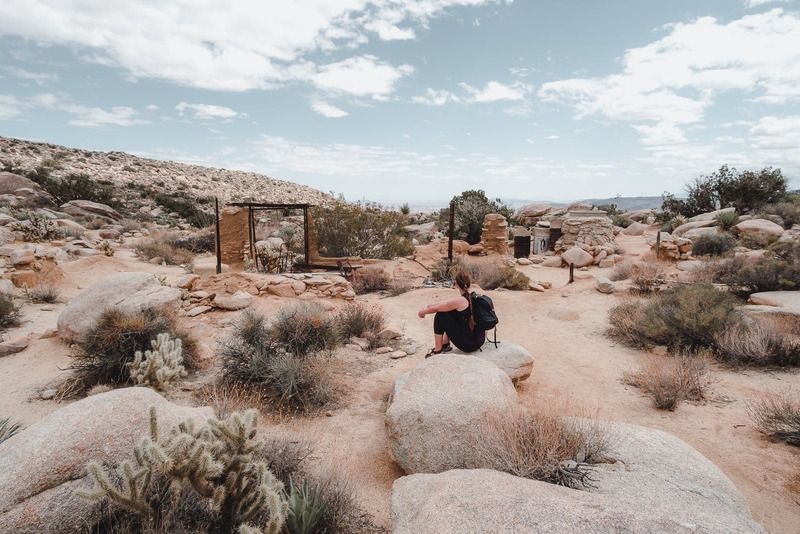 […] There is a trailhead that leads to a short hike to an oasis that is pretty popular.” —The Dyrt camper Morgan D.
Another remote camping destination in the Anza-Borrego Desert is Blair Valley. Fantastic for primitive camping, this campground is normally accessible to 2WD vehicles, but it’s wise to always check current road conditions at the Visitor Center. There are several open campsites available. Don’t expect any fancy facilities, though—there are only vault toilets. Bring your own drinking water. This is a great base for hiking in the southwestern Anza-Borrego Desert. Nearby hiking trails include the ‘Ehmuu-Morteros Trail, the Ghost Mountain Trail, and the Pictograph Trail. “Little Blair valley has beautiful rocky hills that provide a great backdrop to your desert camping. Lots of climbing to be had, as well as several trails. Including pictographs! Simply choose your spot and set up camp! I’ve witnessed some of the most gorgeous sunrises and sunsets here. 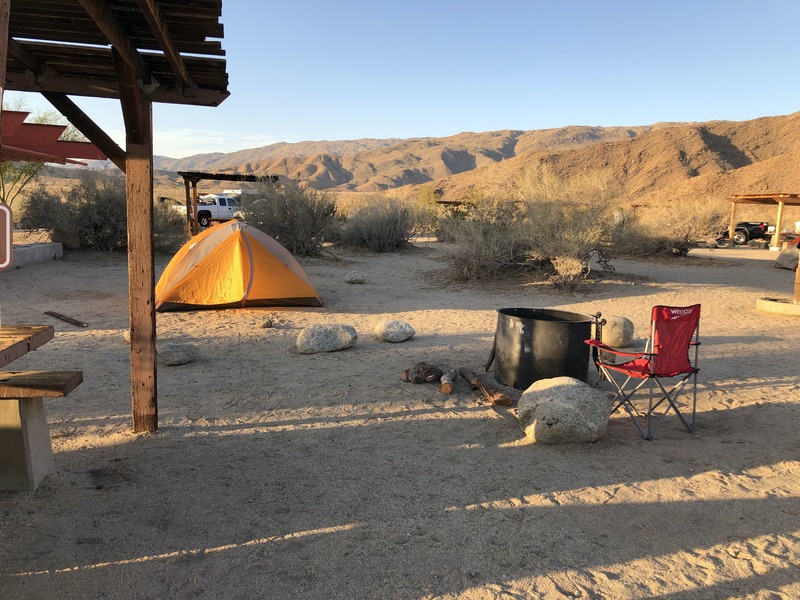 desert camping, so no trees, but plenty of ocotillo and creosote.” —The Dyrt camper Jennifer D.
Located in the San Ysidro Mountains west of Borrego Springs, the Culp Valley Campground is a tiny primitive campground with a number of open campsites. Its elevation of 3,300 feet makes it a comfortable place to stay, especially in mid-summer when the valley below are scorching hot. 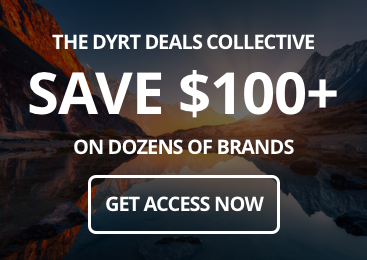 “The sites are firs- come, first-served, and best of all they are FREE! The ground is sand and rock, and outside of clean vault toilets there are no amenities. We had a decent spot with three tents set up and brought our own fire ring. No fires allowed outside a fire ring/pit you bring along. 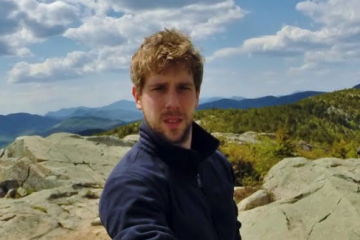 […] if you arrive before afternoon you’ll usually find a spot.” —The Dyrt camper Ryan W.
With over 100 miles over hiking trails and vast tracts of wilderness, this park is a hiker’s paradise. 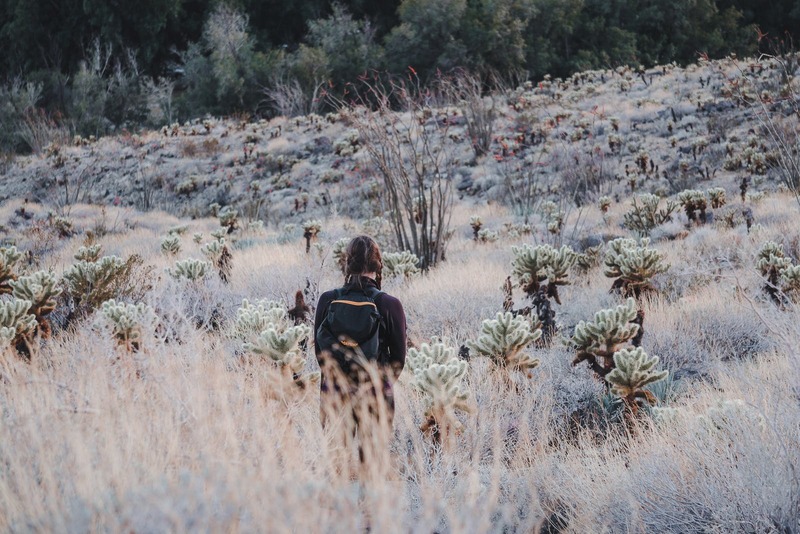 From pleasant desert strolls to a section of the Pacific Crest Trail, there are numerous hikes in Anza-Borrego Desert State Park—catering to all abilities and ages. 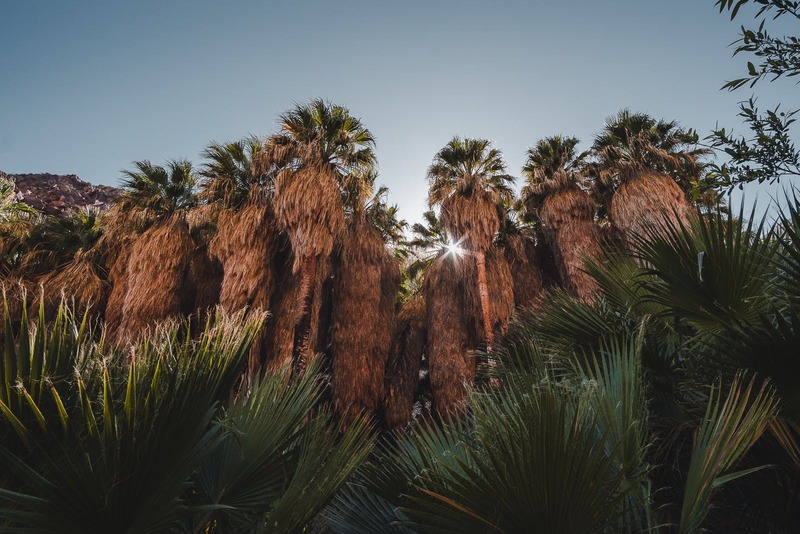 Arguably the greatest of all Anza-Borrego Desert hikes, the Borrego Palm Canyon Trail starts at the far end of the Palm Canyon Campground at ends at a lush desert oasis filled with California fan palms. The trail basically follows a stream that flows down from the oasis, a green ribbon in a bone-dry landscape. This is an easy to moderate trail, best hiked early in the morning before the midday heat. It’s about 3 miles roundtrip. You don’t always have to climb mountains for the biggest rewards. Sometimes, even the shortest trail can blow you away. In spring, the 0.7-mile Cactus Loop Trail is a great place to enjoy the wildflowers. Suitable for all skill levels, this pleasant loop hike features all kind of desert vegetation and excellent bird watching. The trailhead lies just across the road from the Tamarisk Grove Campground. On the way, you’ll pass a collection of ocotillos, cholla cacti, and beavertail cacti. The hike to seasonal Maidenhair Falls, the finest waterfall in the Anza-Borrego Desert, takes you through Hellhole Canyon. 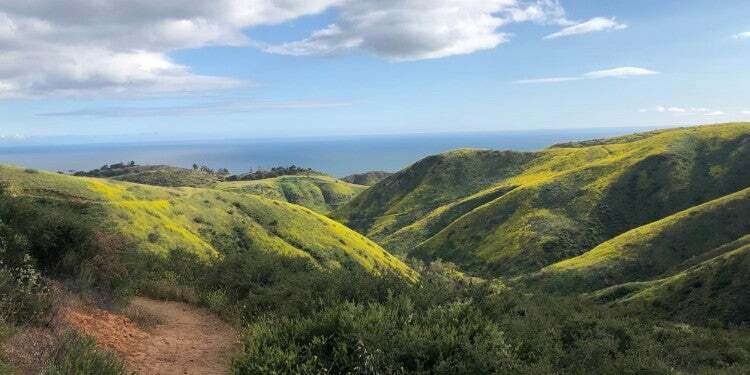 Early spring, after the winter rains, is the best time of the year for this hike. At first, the trail runs through typical desert scrubland, but soon you’ll notice the landscape getting narrower and narrower. You’ll enter a desert wash first, before arriving in the canyon. Lush vegetation and palm trees characterize this section, while the waterfall’s namesake maidenhair moss covers boulders. This is an out-and-back hike of about 5.5 miles in length. Although no longer than a mile roundtrip, The Slot is one of the most exciting hikes in Anza-Borrego Desert State Park. As its name implies, this fun outing brings you into a 3-foot-wide siltstone slot canyon. Artist and writer Marshal South built an adobe homestead atop Ghost Mountain at the southern edge of Blair Valley in the 1930s. 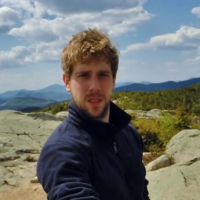 He and his wife lived there for almost two decades, raising three kids and making a living by writing about their back-to-nature lifestyle. They left their mountain house in 1947. 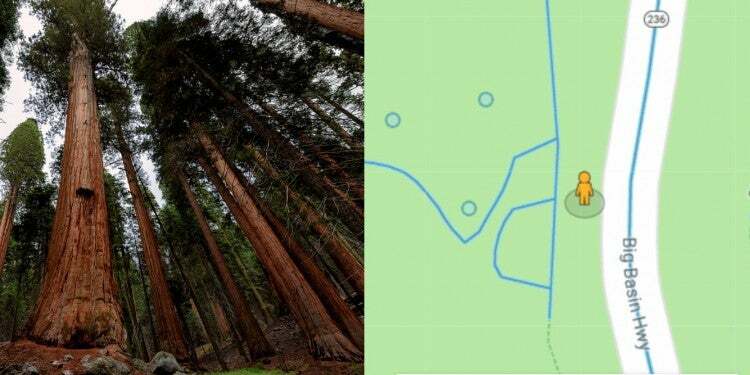 Now, a short trail leads to the ruins of their house, one of the most fascinating modern man-made sites in the park. The roundtrip is about 1.2 miles. In the far southeastern part of the park, the Wind Caves Trail makes for a fun little hike to a viewpoint overlooking the Carrizo Badlands. Note that a 4WD vehicle will most likely be required to get to the trailhead. Only about 2 miles there and back again, this hike features badlands, desert scenery and a bunch of rock formations, arches and holes to explore. 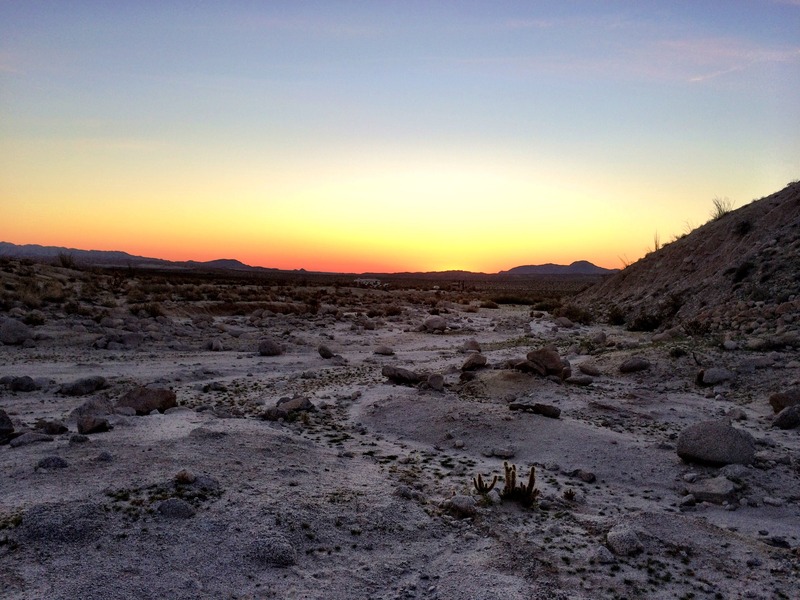 When is the best time to visit the Anza-Borrego Desert? Late February through April is by far the best time of the year to visit Anza-Borrego Desert State Park. The winter rains have come and gone, the temperature is as comfortable as it gets. The few seasonal waterfalls in the park are at full force, while a carpet of wildflowers paints the desert in all kinds of colors. The floral variety in Anza-Borrego ensures that you’ll see something in bloom all spring long. You may see blooming cacti, flowers and other desert vegetation well into June, but depending on rainfall and other weather, March is arguably the best month for wildflowers. Anza-Borrego Desert State Park lies in Southern California’s Colorado Desert, in the eastern part of San Diego County. This is a remote region and very people live here. The largest town is Borrego Springs, situated in the heart of the park, home to about 3,500 people. The nearest major city is San Diego, 85 miles and a 2.5-hour drive on a few state highways and a major interstate to the southwest. Visitors who are not in driving distance typically fly to San Diego International Airport and rent a car for the last leg. 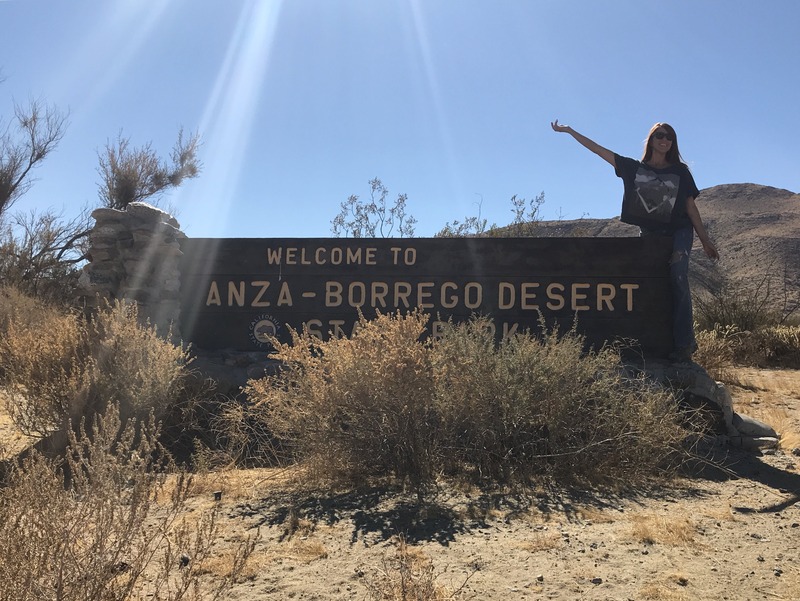 How large is Anza-Borrego Desert State Park? The total surface area of the park is 600,000 acres (or 240,000 hectares). Encompassing one-fifth of San Diego County, it is California’s largest state park and the second-largest one in the contiguous United States. When is the visitor center open? The Visitor Center west of Borrego Springs has interesting exhibits and a great 15-minute orientation film. From October 1 through May 31, it is open seven days a week from 9 am to 5 pm. From June 1 through September 30, it is open only on the weekends and holidays from 9 am to 5 pm. No. You can drive through and visit Anza-Borrego Desert State Park free of charge. 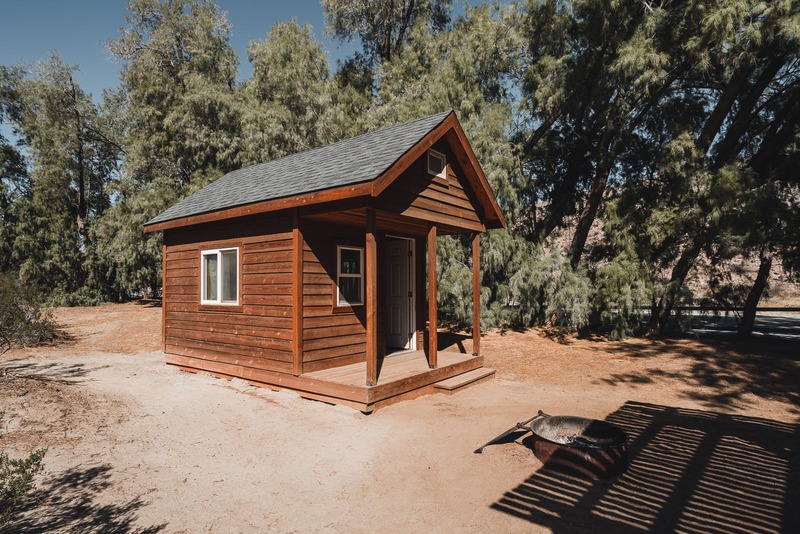 However, a day-use fee ranging from 5 to 8 dollars is collected at a few of the most popular areas: Borrego Palm Canyon, Tamarisk Grove, Bow Willow, and Vern Whitaker Horse Camp. Do I have to reserve a campsite? When camping at the developed campgrounds in the peak spring season, you are strongly advised to reserve a site well in advance. 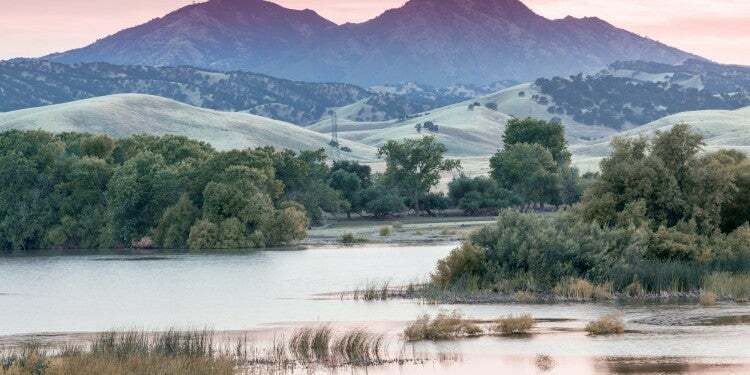 You can book a site up to six months in advance on the Reserve California website. You must camp at least 100 feet from natural water sources. You may park on the side of the road, but make sure that other people can safely pass. Do not trample any vegetation or drive across rock formations. Follow the carry-in, carry-out principle and don’t leave any trash behind. Ground fires are not allowed. The only allowed fires must be in a metal container. You have to take ash and other debris from fires with you when you leave. Gathering firewood is prohibited in order to let nutrients circle back into the ecosystem. Yes, you may bring your dog to Anza-Borrego Desert State Park. They are allowed in campgrounds and on public roads—keep them on a six-foot leash at all times. They are NOT allowed on any hiking trails or in any natural area. You have to keep your dog in your tent or vehicle at night. Do I need a 4WD vehicle? No, a 4WD vehicle is not necessary to fully enjoy Anza-Borrego Desert State Park. Many popular areas are easily accessible via paved roads and with a 2WD vehicle. That said, the park boasts no fewer than 500 miles of dirt roads and exploring the backcountry is a major highlight. Some trails, points of interest, and campgrounds are only reachable via dirt roads. Ask for more information at the Borrego Springs Visitor Center. Also, all vehicles must remain on designated roads at all times. Off-roading is not permitted.